PORT OF SPAIN, TRINIDAD (AUGUST 31, 2017) – Cocktail fans are likely familiar with ANGOSTURA aromatic bitters® and the enhancing effect bitters can have on alcoholic beverages, but what they might not know is that the story of THE HOUSE OF ANGOSTURA® and ANGOSTURA® aromatic bitters spans beyond craft cocktails. THE HOUSE OF ANGOSTURA wants consumers to take inspiration from the brand’s rich history to make ANGOSTURA aromatic bitters an everyday staple. 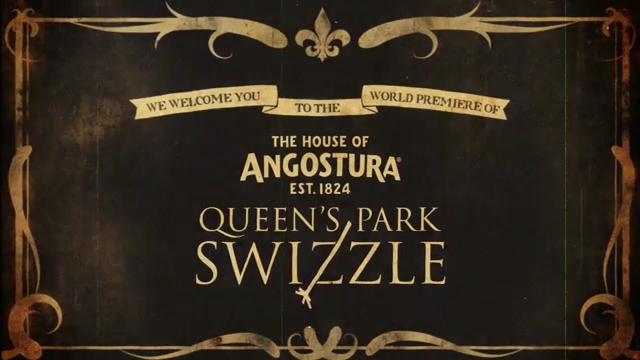 From culinary uses to signature cocktails, such as the Queen’s Park Swizzle, THE HOUSE OF ANGOSTURA is making a push to ensure ANGOSTURA aromatic bitters secure a permanent spot not only in consumers’ bar carts but also in their pantries. In 1824, Dr. JGB Siegert perfected the aromatic bitters formula for use in his medical practice as Surgeon General to the armies of Simon Bolivar while stationed in Angostura, Venezuela. 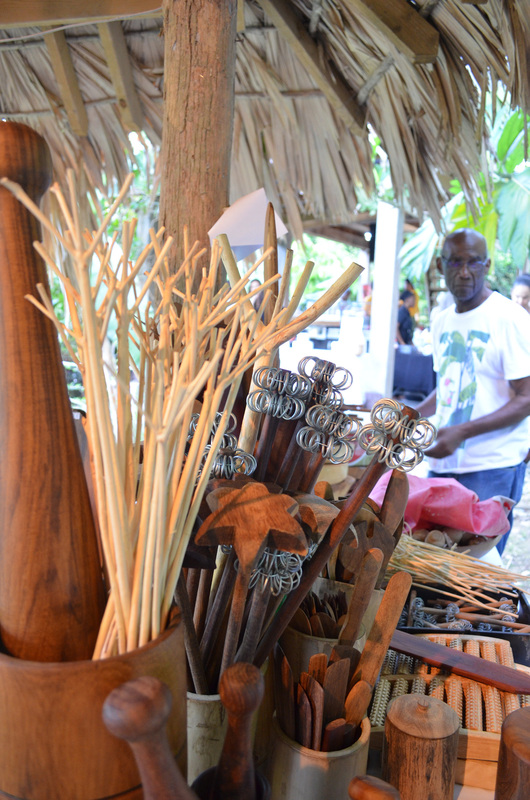 Dr. Siegert’s family eventually moved to Trinidad where his sons began manufacturing bitters in a small factory in Port of Spain, expanding later to also encompass a rum distillery. 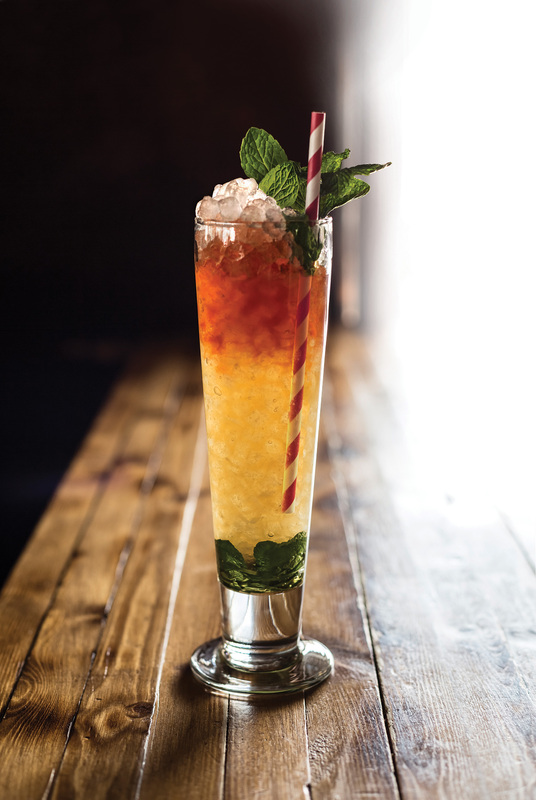 Though the exact bitters formula, made up of local herbs and plants, remains guarded to this day, bartenders demonstrate their affinity toward the essence by incorporating the sweet, spicy and slightly bitter notes into classic and craft cocktails. 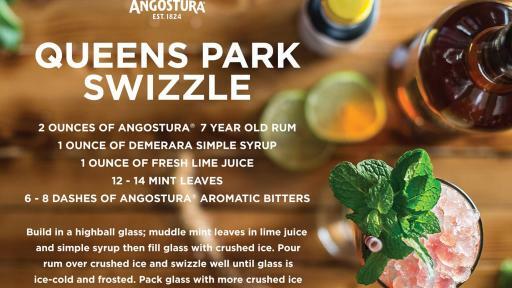 The Queen’s Park Swizzle, as Edwards explained, is built with layered mint leaves to cool and refresh, demerara syrup for a touch of sweetness, lime juice, crushed ice, a full-bodied dark rum like THE HOUSE OF ANGOSTURA’s 7 Year Rum, more ice, topped off with 5-6 dashes of ANGOSTURA aromatic bitters. The cocktail comes together once the swizzle stick is pushed through the ice, many times down and the handle is vigorously rotated between the palms of the hands until the glass is coated with a thick coat of frost. 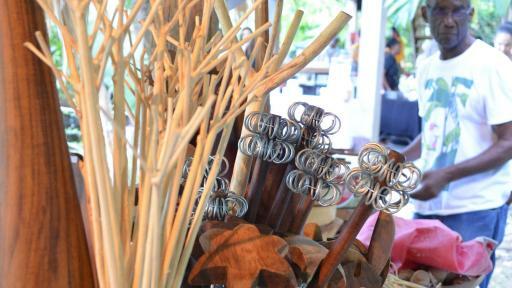 The swizzle stick helped give birth to swizzles as a category of cocktail. It is a hybrid drink that is both shaken and stirred and powerfully cold for a refreshing experience. 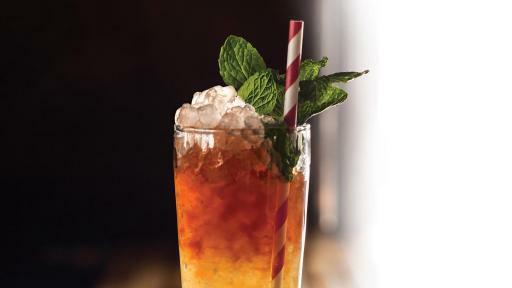 Swizzle cocktails are diluted enough to allow a substantial measure of spirit to be included without losing flavor for a result that is both satisfying and tasty. 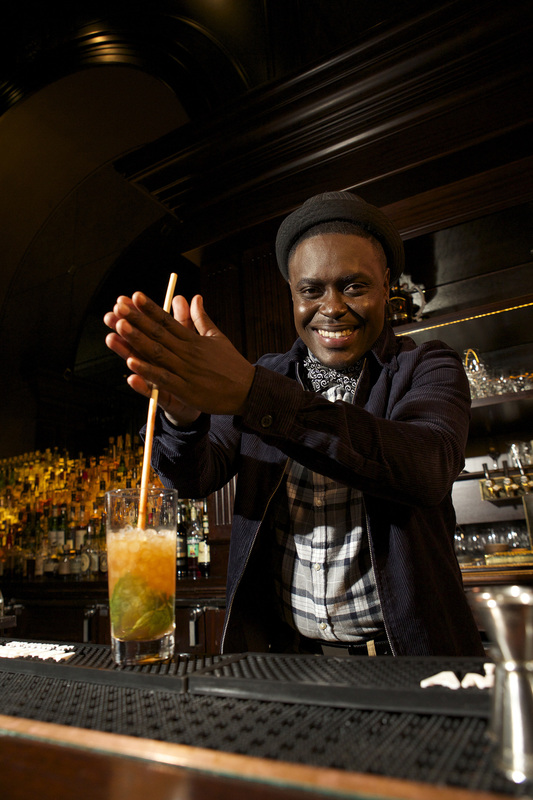 The swizzle earns its name not by ingredients or flavors like most other cocktails, but by the whisk-like motion of making it or swizzling. Though the Queen’s Park Swizzle reigns as THE HOUSE OF ANGOSTURA’S signature cocktail, the brand regularly introduces swizzle combinations that keep the swizzle cocktail category relevant. 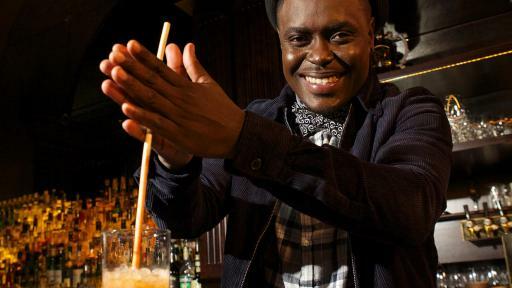 Consumers are encouraged to pick their favorite swizzle and learn how to make it. THE HOUSE OF ANGOSTURA continues to innovate by adding to its extensive lineup, including its rum portfolio, and by constantly spearheading innovative, attention-gabbing cocktails. 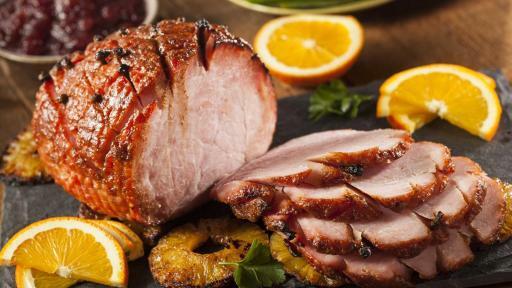 In 2007, the brand added zesty, citrus flavored ANGOSTURA® orange bitters which can be added to vodka, gin, vermouth, whiskey and rum, and can also enhance sweet and savory sauces. Additionally, to celebrate 190 years of history, the brand launched Amaro di ANGOSTURA® an herbal liqueur that uses ANGOSTURA bitters as a base. Amaro di ANGOSTURA can be sipped alone or combined like in the Amora Amaro. On a local level, the brand regularly partners with chefs from Fanatic Kitchen Studio to design dishes that keep bitters relevant in the food scene. In the U.S., ANGOSTURA bitters recently partnered with Cochon 555, a culinary tour dedicated to supporting family farmers and educating chefs and foodies about the agricultural importance of utilizing Old World livestock. As part of the tour, the brand worked with chefs all over the country to integrate ANGOSTURA bitters into cutting-edge culinary concepts. “We partnered with Cochon to help educate consumers on the many uses of bitters, and my hope for the future is that people continue to stock their bar carts with our bitters and rums, but that next time they are cooking up any meal, they consider adding a little dash of bitters to kick up the flavor,” said Jodhan.